Padley Gorge is located in the east of the national park, just up the road from the village of Grindleford. 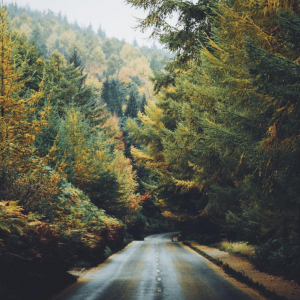 The valley is a popular picnic spot all year round, but truly comes to life with alluring autumnal colours in the coming months, as you can see in this stunning photo from Instagram user @veritymilligan. There are three enchanting reservoirs in the Upper Derwent Valley - Derwent, Ladybower and Howden. Each reservoir is surrounded by lofty Peak District hills, the top of which offer some of the most picturesque views in the area. The photo below shows an autumnal view of the woodland surrounding the reservoirs from the windy Snake Pass, which is a Peak District attraction in itself. 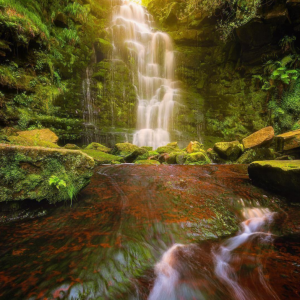 A perfect destination for adventurers, photographers and all-round lovers of nature, Middle Black Clough waterfall is in the north of the Peak District, close to Woodhead Reservoir. The 10m high waterfall has been described as “magical” by visitors and is surrounded by magnificent, thick woodland, making it a true hidden gem. The walk up to the waterfall also contributes to the charm of the place, with streams to cross and rocks to scramble over along the way. You may need to watch your step in the autumn months, but the views once you get there will be well worth the clambering! Views from the top of Stanage Edge might just be the best you can get of the Dark Peak moors, making it ideal for admiring autumn landscapes. 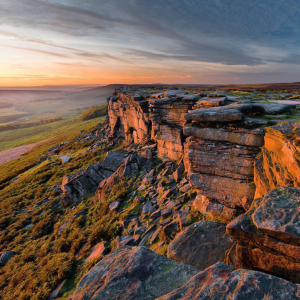 A popular location for hiking and climbing alike, the edge is just north of Hathersage and stretches for four miles at around 15 - 20 metres in height on average. There are apparently over 800 climbing routes on record at the moment, as well numerous trails and starting points for walkers. To truly get the best sense of the Peak District this autumn, we’d recommend heading to the top of the infamous Mam Tor. Also known as ‘Mother Hill’ and ‘The Shivering Mountain’, Mam Tor is a well-known Peak District landmark in Castleton. If there was ever a place to take in the splendid sights of the area, Mam Tor is definitely up there, with Manchester city centre being visible to walkers on the clearest days. 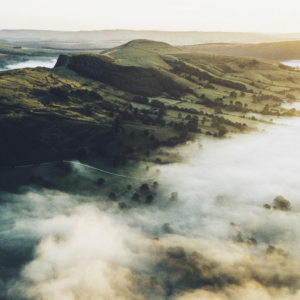 The variety of landscapes and scenery surrounding Mam Tor make it a particularly special and atmospheric location, while multiple walking routes and well-marked tracks ensure that it is easily accessible, even to less-experienced hikers. 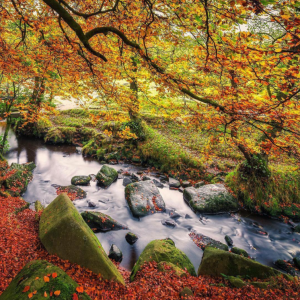 We’re counting down the days until autumn arrives in the Peak District and we hope that, after reading this post, you might feel the same way. Please do go and explore the wonderful photography of the artists featured in this blog, and try searching for #PeakDistrict to find even more breathtaking imagery. If you want to see some of the sights we’ve showcased for yourself, or take your own photos, we’d be delighted to welcome you to the Peak District and help you on your way.